Significantly lower than the €34 million deficit predicted in June 2016, the loss was negated by higher earnings and less expenditure than expected. Trinity has posted a €9.4 million loss this year, significantly lower than the €34 million deficit predicted by the College in June 2016, one which had prompted fears that Trinity might run out of money. Moreover, Trinity’s underlying operating profits, known as earnings before interest, tax, depreciation and amortisation, increased significantly from a deficit of €2.6 million in 2015 to a surplus of €8.4 million. The consolidated financial statements for Trinity were presented to the College Board on March 22nd and obtained by The University Times. The smaller deficit can be attributed to the fact that Trinity re-evaluated their investment properties and included gains made from investments. Trinity lost €34.4 million to the depreciation of assets and €4.6 million to interest payable. Trinity earned more than expected, and also spent less than forecasted. 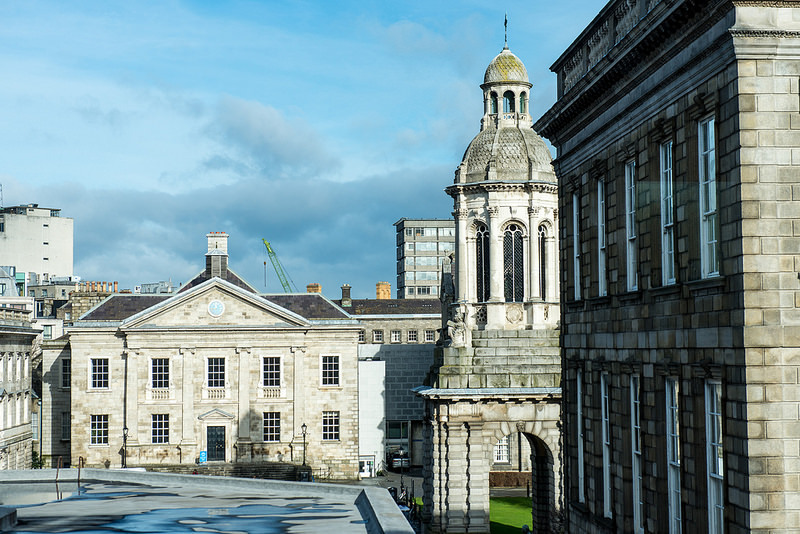 Trinity took in €339 million in income, a figure they hoped to reach by 2019 according to the College’s 2014/19 strategic plan, while the College’s operating expenditure came to €330.6 million. Considering these figures, College was set to lose €30.6 million. But the gains from investment, amounting to €21.2 million, brought the deficit down to the €9.4 million figure. The report outlines that the €30.6 million deficit includes provision for depreciation of €17.8 million and a one-off loss of €16.7 million due to the demolition of Luce Hall and the vacating of Oisín House. The demolition of these sites contributed nearly €2 million less to the deficit than College thought, helping to reduce the deficit. “In accounting terms, we had to write off €16 million of our assets because we’re actually going to replace them with assets that are more fit for purpose and beneficial in the longer term”, Chief Financial Officer, Ian Mathews, told The University Times. Mathews further explained that this expenditure, the €17.8 million due to depreciation, is due to the fact that “for our infrastructure, we are not setting aside enough money each year in our day-to-day income to be able to replenish our buildings or our web facilities”. Essentially, this means that €17.8 million is what was needed to be set aside this year, as this is how much the College’s infrastructure depreciated. Mathews said that the College needs to earn enough to cover all its costs as well as its depreciation, so as “to be able to have that cash to be be able to invest in an asset, in order to maintain our productive capacity in the university going forward”. Trinity has had long-held concerns over the significant cost of the college’s infrastructure. Last year, The University Times revealed that College is currently considering the introduction of a student charge, in a bid to raise money to cover the costs associated with college infrastructure. Matthews said that he thinks a “fee income” will have to be looked at as a mechanism to increase the College’s income, not only in terms of increased student numbers, but “how we can charge more”. While Mathews was quick to note that any mooted increase in the student contribution fee is “just a metric” and “not a policy”, he suggested that €10 million would be generated by increasing the existing student contribution fee by “€1,000 to €1,500” more per undergraduate and “that’s our issue solved, more or less”. Rejecting the idea that the same amount of money could be raised through accepting more students, Matthews said this would require 3,000 more students to be accepted – a decision that would have a significant impact on the College’s “niche” status and require the “building of more buildings”. Trinity’s total assets, the accounts show, are €805 million. However, Mathews pointed out that while the land that is owned by the College was revalued last year, the buildings themselves were not. This, combined with the new accounting measures, which downgraded the asset value, has resulted in assets being “undervalued”, according to Mathews, who cited the value of Front Square as being worth more than was accounted for. New accounting measures were implemented this past year, marking the first year that the College’s financial statements were compiled using a revised version of Financial Reporting Standard 102 (FRS 102) with the Statement of Recommended Practice (SORP), which, according to Mathews, is not a requirement for the College, “but it is best practice” and provides a more accurate assessment of the university’s financial standing. The new accounting measures have had a positive impact on the reported deficit the College runs. This is seen in the 2015 consolidated figures, where last year Trinity published a deficit of over €24 million. In the revised version of the 2015 accounts seen in the latest annual report, the loss was reported as just €14 million. Total income and total expenditure did not vary greatly between the two standards.